According to the U.S Centers for Disease Control and Prevention, one in ten school-age children in the U.S. has asthma. Symptoms include a tight feeling in the chest, shortness of breath, coughing and wheezing. During an asthma attack, the smooth muscles that line the airways to the lungs suddenly become swollen and inflamed and tighten, obstructing or blocking the flow of air, which can be life threatening for both children and adults. 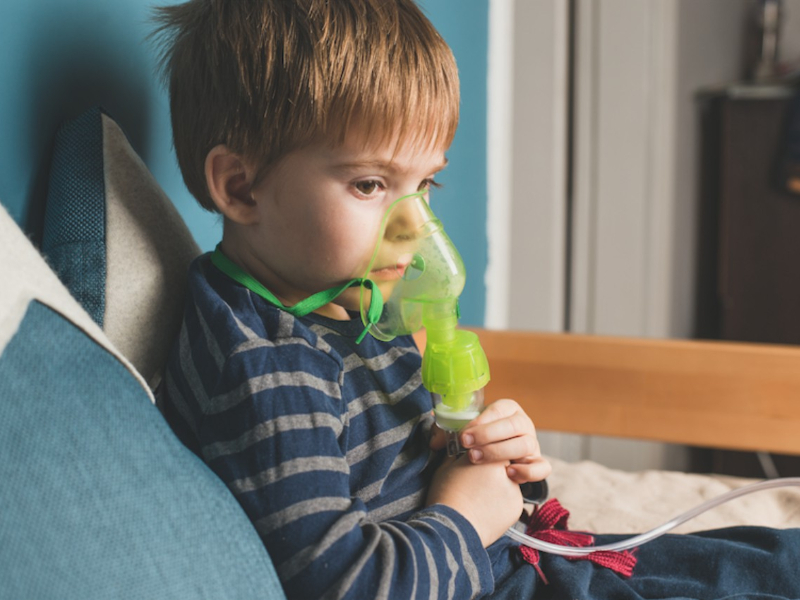 Asthma can be caused by outdoor air pollution, but also by indoor emissions of chemicals, strong odors, mold, smoke or other factors. The air inside homes can be two to five times as polluted as outdoor air. So while there is no cure for asthma, you can help manage the disease by avoiding indoor triggers, known as asthmagens. Formaldehyde is not only an asthmagen, but a carcinogen. It is often used in glues that hold together composite wood items for furniture, counter tops and cabinets and can be released from preservatives that are commonly added to multi-use cleaning products as well as some paints. Glycol ethers, such as ethylene glycol, is used as a solvent in some water-based paints and finishes. In addition to being a respiratory irritant, ethylene glycol can cause headaches and nausea as well as reproductive and developmental problems. Quaternary ammonia compounds, or quats, are disinfectants often added to cleaning supplies. Quats are asthmagens that have also been associated with reduced fertility and birth defects. Phthalates are found in PVC plastics, vinyl flooring and some paints and cleaning products. They can trigger asthma, disrupt hormones and have been linked to birth defects. Scented products such as air fresheners, cleaning supplies and personal care products can trigger asthma symptoms. * Choose solid wood furniture or look for composite wood products labeled “No Added Formaldehyde. * Look for Green Seal 11 certified paints and finishes that do not contain formaldehyde-releasing preservatives, ethylene glycols and certain phthalates. * Avoid PVC in flooring, ceiling tiles, carpet backing and mattress covers. * Use EWG’s Guide to Healthy Cleaning to screen products for these asthmagens as well as other harmful chemicals. Visit EWG’s Healthy Living: Home Guide for more information on asthmagens in your home.